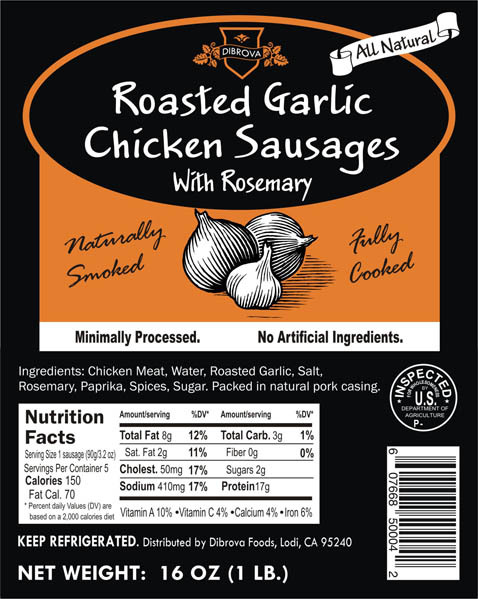 The rich, mellow flavor of roasted garlic, the pungent rosemary and plenty of black pepper are perfectly balanced in this smoked chicken sausage. This mild sausage is packed with flavor and excellent, even cold, in pasta salads and antipasto dishes. All natural, no nitrites, no preservatives, no msg.